Some of my customers joined me in a Shoebox Swap. 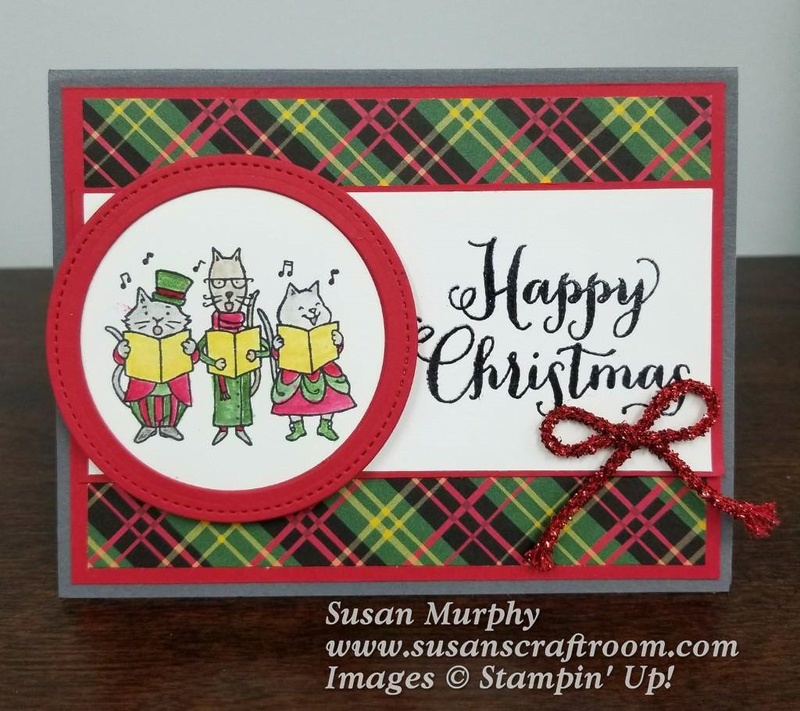 We each brought all the pre-cut pieces and supplies for a Christmas card in a shoebox (or similar container) and made each of the cards. I always love doing these type card swaps with my customers! Below are the cards that we made. Under each card I'll list any products from the Holiday Catalog that were used. Most of these are only available through January 3 or while supplies last. Order any that you'd like asap! Christmas Class Projects! Ho! Ho! Ho! Clearance Rack Updated! Up to 70% Off! Holiday Catalog Carry Over List!